The Alpha Male Medical Institute® respects the privacy of every individual who visits our website. As such, your personal information will never be shared with any other organization or individual for any purpose. 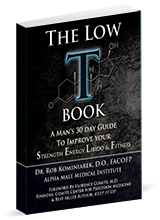 The sole purpose of this page is to provide you a discreet, convenient portal to access information on obtaining exclusive membership at The Alpha Male Medical Institute™. We will be contacting you directly. You may always call our office at 937.350.5527 to speak to Dr. 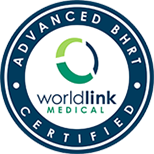 Rob regarding your questions on Bioidentical Hormone Replacement Therapy. *Note: All fields are required. We promise to never share your information with anyone. All information gathered is for internal use at The Alpha Male Medical Institute only. *By entering your information, we will send you an information packed email with exclusive information reserved for patients of The Alpha Male Medical Institute only.